You must make reservations at least 5 minutes in advance of the time at Sea Pearl. Hours of Operation Saturday Brunch: 11:00am - 4pm, Dinner 4:00pm - 10:30pm ; Sunday Brunch: 10:00am - 4:00pm, Dinner 4:00pm - 9:00pm; Monday - Thursday 11:00am - 9:30pm; Friday - Saturday: 11:00am - 10:00pm. Bar and Lounge Reservations will not be accepted over OpenTable. The entrance to the free cover parking garage is located behind Chipotle. Signs are available in the garage for the entrance to Sea Pearl. There is also additional parking in the Target garage, which is located across from Four Sisters Restaurant. 1/2 a mile from Dunn Loring metro and 2 miles from Vienna metro station. 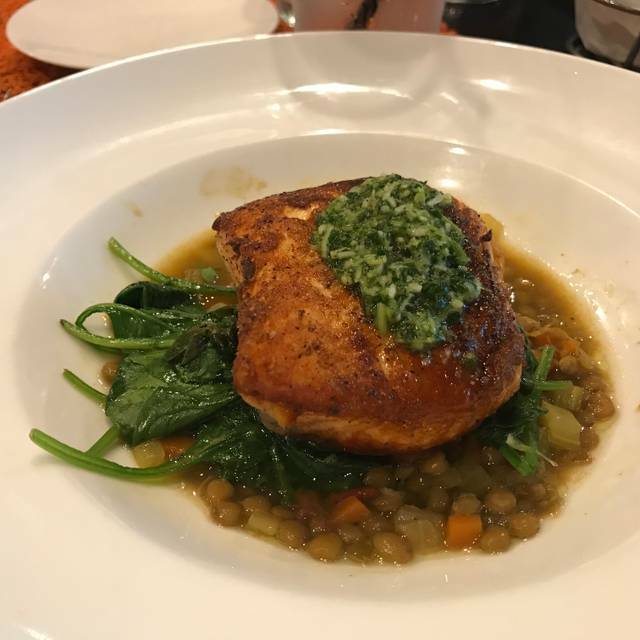 Sea Pearl restaurant at the Merrifield Town Center is an elegant casual restaurant with great service in a contemporary setting. The menus are seasonal,sophisticated, elegant and warm environment. The restaurant has a grand curve entrance surrounded by glass panels and bordered at the opposite end by an elegant curved 40ft bar. The restaurant also boasts a private lounge and a cozy warm dinning room with mixed seating of booths, banquettes, raised private dinning area and walnut hardwood flooring. Outdoors seating is also available on the patio during the springs, summers and falls. 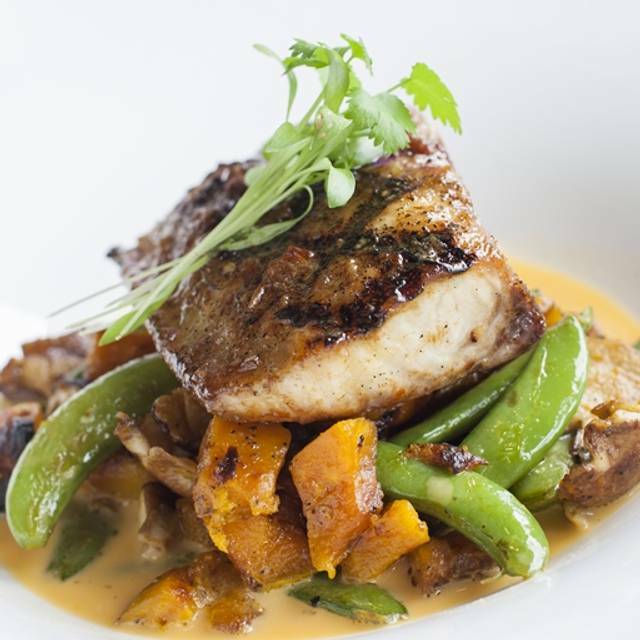 Sea Pearl restaurant showcases a contemporary American cuisine and the menus changes seasonally with the addition of daily changing selections of fish and produce of the season. 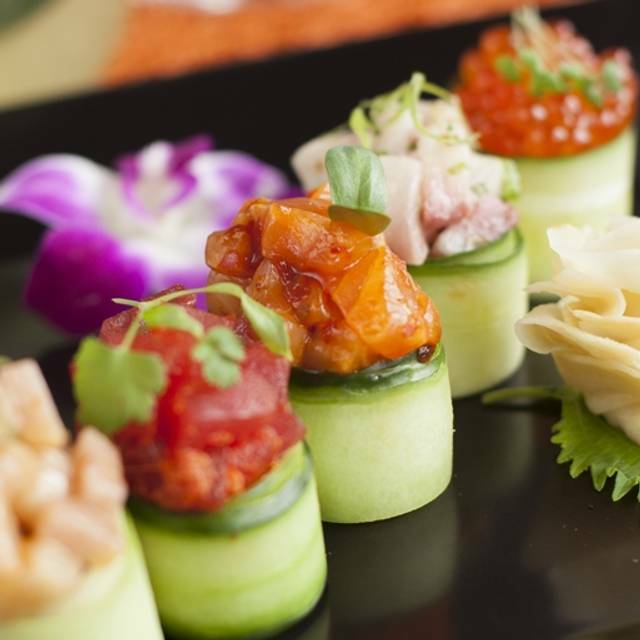 It offers innovative brunch,lunch menus, creative dinner menus sure to please both your palate and your eyes. I’ve been here several times but today (Easter Sunday) we were sat at a corner in the lounge area on 2 high round tables. It was not most pleasant and comfortable location in the restaurant. Excellent seafood and sushi. Location less convenient due to the popularity of the Mosaic District. Great for post shipping or movies. We tried the fried Brussel sprouts with peanut cream, PEI Mussels, Eel Cucumber, Scallops and Chilean Sea Bass and everything were delicious! Would highly recommend to everyone! I have recommended this place because it is a wonderful dining experience every time we go. Especially have enjoyed the Happy Hour in the lounge. Go to their website to see the various menus. It was a birthday brunch for 2 family members and everything was great. I was surprised at the quality of food. Thank you. Nice asian themed seafood restaurant, rolls were good and reasonably priced. Ramen was very nice. Plenty of parking. Sunday brunch at Sea Pearl is amazing. The variety and quality of the menu never ceases to impress, and the price point is very attractive. Our first time dining here. We were quite impressed. The sea bass was delicious as were the scallops. We will be back. We continue to be puzzled as to why we can always get a reservation at Sea Pearl with little advanced notice on a Friday or Saturday night when so many other "good" restaurants' reservations fill up days (and weeks) in advance. 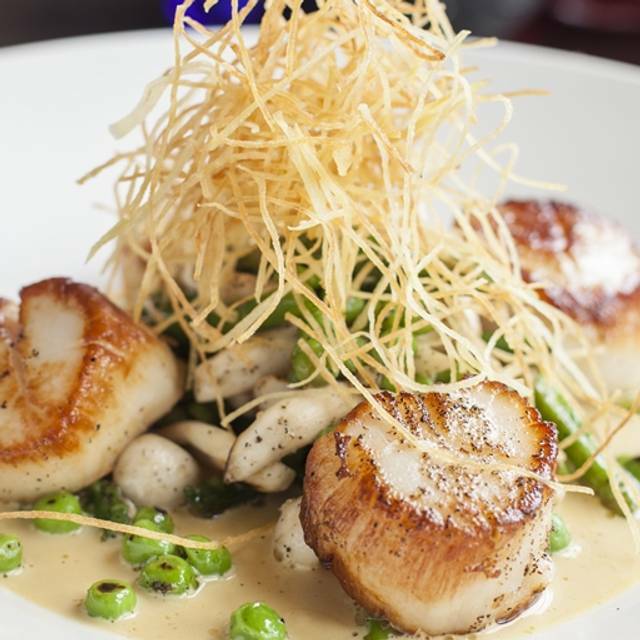 Sea Pearl is a real gem in the Merrifield area. The food is inventive, the surroundings comfortable, the staff knowledgeable, and there is even free parking available! I mad e ameal of three appetizers, and the fried oysters were particularly wonderful. My companion had the seafood stew and it was chock full of various seafood, including quite a bit of lobster and mussels. As much as we wanted dessert, we declined, as we were quite full! I encourage you to visit the Sea Pearl, and experience a leisurely, creative meal. We began with duck pot stickers, poke and calamari - each person found their favorite ( all excellent ). Beef with fingerling potatoes rivals any steak house. Thank you for a wonderful meal and superb service. The service and food is great as always. Nephew loved it as well. Loved everything about the restaurant! 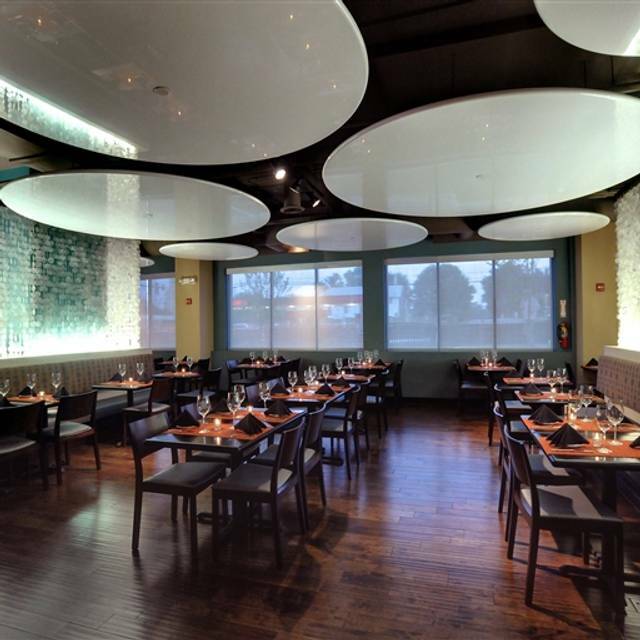 The decor was the perfect balance of an upscale restaurant with a resort like feel. The cocktails were delicious and the food was amazing. Everything we ordered - from the appetizers and entrees to dessert and espressos - was tasty and well timed. Planning on going back soon! Everything was delicious. It was a nice ambiance, superb food, friendly staff. We will be back. A unique dining experience! I particularly recommend the appetizers. Everything was fine, but I feel that the ambience was a bit dated and shabby. Prices a little high for an experience that wasn’t top notch. Food was good. Just don't like lunch and dinner menu having the same prices. I always go to Sea Pearl but hadn’t been in a while. 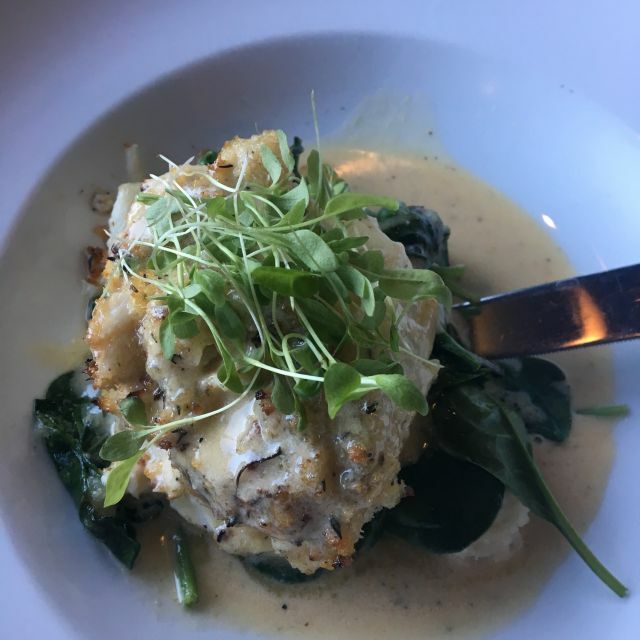 Today I took a group and had the worst crab cake I ever had in my life. I am not even sure it was crab meat The pace has fallen off. Please go back to the crab cake recipe you had before. This one is AWFUL. The Hamachili (yellow tail, peppers, and ponzu sauce) was delicious with the right amount of heat. My wife said the crab and corn chowder soup and duck pot stickers were wonderful. It would great if the Sea Pearl offered their brunch on Saturday and Sunday. Almost all the food there is amazing and inventive. It really is a gem and deserves more accolades. Nice restaurant setting and good service but the food is king! The chef grew up in China and India and does such creative things but in classic way (so no over the top presentation that look better than they taste or sound more intersecting than they are) if you have not been, TRY IT! Don't miss trying Sea Pearl. 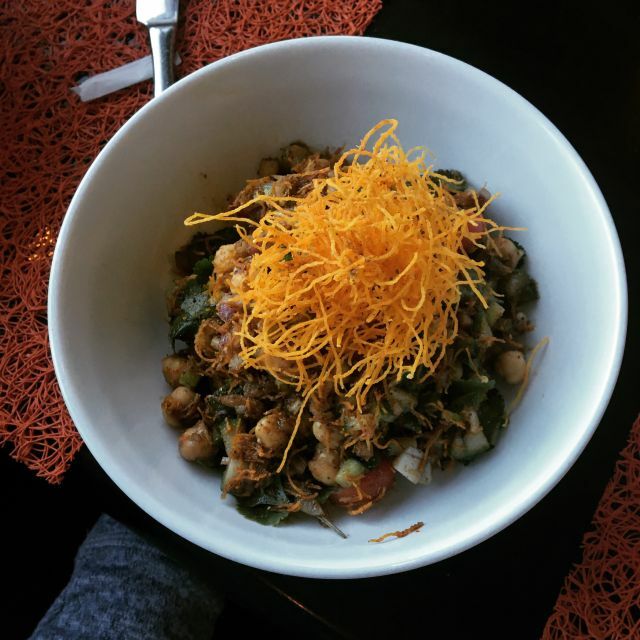 Our only regret is not trying this place sooner. Years ago a friend gave this place a personal poor rating so we avoided it. BIG mistake. Recently did new research and saw it was highly rated. The food is very good (I recommend the duck pot stickers and sushi), the service is exceptional, and the decor is lovely. There are lots of choices in the Mosaic District area. We've eaten at nearly all of them and this is one of the, and maybe THE, best of them. Our waitress, Annie, was fabulous! Food was excellent. We come here about 4x a year and it’s almost always excellent. Only issue tonight was that the hostess was a bit harsh with us when we asked for a window seat instead of sitting in the middle of the room. We had reservations, it was early, and there were many open tables. She did eventually let us move but it almost soured the start of date night. Annie was such a fantastic waitress she quickly made up for the hostess! Lovely evening with friends, food was good but expensive, service excellant. Had a wonderful time with friends at the buffet brunch. I can’t begin to tell you how much I love the crab cakes benedict, sushi, oysters and tiger bites. They have a lot to offer on their brunch and for $35, it’s definitely a great deal. I definitely like this over founding farmer’s brunch. They have their buffet brunch on Sunday from 10a-3p. The restaurant has a parking garage immediately adjacent to it and is fairly large which generally makes getting seated easy. Short wait to be seated but not bad. Wait staff were very attentive without being overly so although one person who brought a plate of food sat it down right on silverware instead of moving the silverware out of the way which suprised me. Salmon and avacado sushi was excellent. Crab cake was huge although I thought the use of the rice crisp for the coating was just ok and I would have preferred a more traditional coating. The sriracha aioli was a little lacking as to any sriracha kick and I there was very little on the plate so I had to ask for more. Sea Pearl is consistent and does a very nice job overall. Great food, great service. A little loud, but only because it was busy. A good problem to have. For the price point, this is an exceptional restaurant. 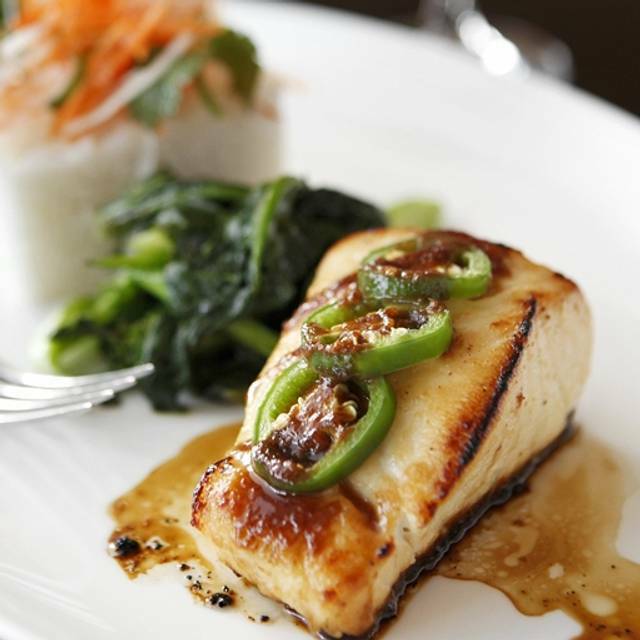 Fish is always well done, rich and original flavors with an Asian touch—soy-based, ponzu, coconut rice. Service is excellent. 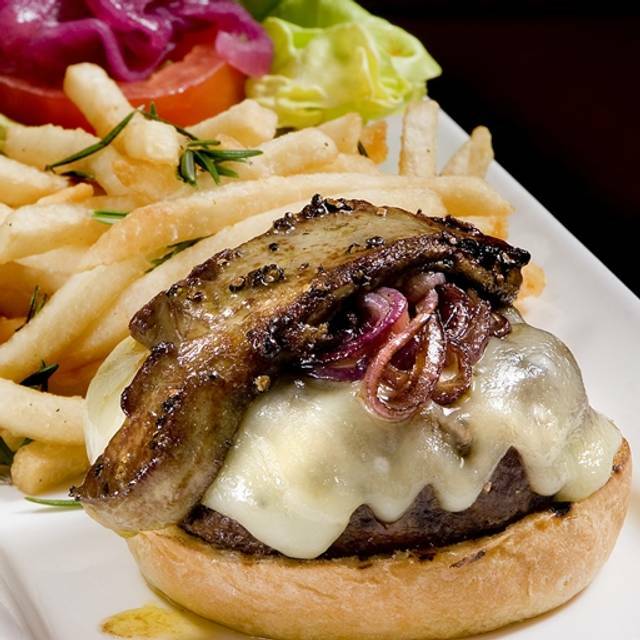 Full bar and lively atmosphere without the industrial noise of other large restaurants. We went for the special valentines menu. Everything was great but the service coulda been better. They were very busy and tried giving me my main course before my appetizer even came out. Food is always good here though. We’ve been a few times. I was not aware it was a Prix-fix menu on Valentine's Day so restricted to the choices. I did receive a message a couple of days before, but I could not make-out what the person was saying. When I called the next day to clarify, no one answered the phone. Perhaps it was too early in the day, it was around 11 AM. My husband had previously eaten at Sea Pearl and raved about the food. I hope to go back again to be able to order off the menu, rather than Prix-fix. No complaints about the service, but it was a busy night for the wait-staff. We were there for the first time on Valentine's Day. The evening started out a bit rough as the parking lot was completely full and had to call to tell them we would be late. But after we were seated, everything went great. Definitely exceeded our expectation. They had a three-course preset menu to choose from. I had hamachi sashimi, sushi tasting plate, and chocolate mousse heart while my husband had pickled beet, seared sea scallops, passion fruit pana cotta. Everything was made so carefully and beautifully presented. They were all so delicious and I kept thinking how much effort the chefs had put into tonight's menu. As a picky Japanese food eater, I definitely approve the quality of sushi I experienced tonight. Although It was a busy night, all the staff was so professional and friendly. We feel so lucky to have found this restaurant tonight and are hoping we can enjoy this same quality next time we go back sometime soon! Valentines dinner fixed price menu. Had difficulty communicating with waiter. Appetizers ok. Scallops borderline burned (waiter asked if we wanted them medium rare? Never had that asked before.) Lobster in shell - no crab or shrimp - no melted butter - dry. Had been told by waiter it would be out of shell. Waiter said crab and shrimp were tiny bits mixed into the rice. Dessert good. Disappointing compared to previous visits. The prix fixe menu for Valentines day was a huge hit. We enjoyed the prompt service and had a great time. Great Valentine’s Day menu. Great portions for the price. Very filling and a very pleasant experience. One of the nicest upscale restaurants in the area. Great atmosphere. Food was a prefix choice of good options for Valentines.